This week we had a special visitor- Ayelet Shloser- a kindergarten teacher from Modiin. She came bearing developmental toys for ALYN's children. "We have a vegetable garden in our yard. We sell the vegetables to parents and friends. We decided that the money we collected would be donated to a special cause" said Ayelet. In order to decide where the money would be donated to , the children voted. ALYN was chosen because the children could identify with the children from ALYN and their need for rehabilitation. In addition to selling the vegetables the kids had a yard sale, where each one brought something from home to sell. The whole neighborhood participated. With the money they collected they decided to buy the children toys! 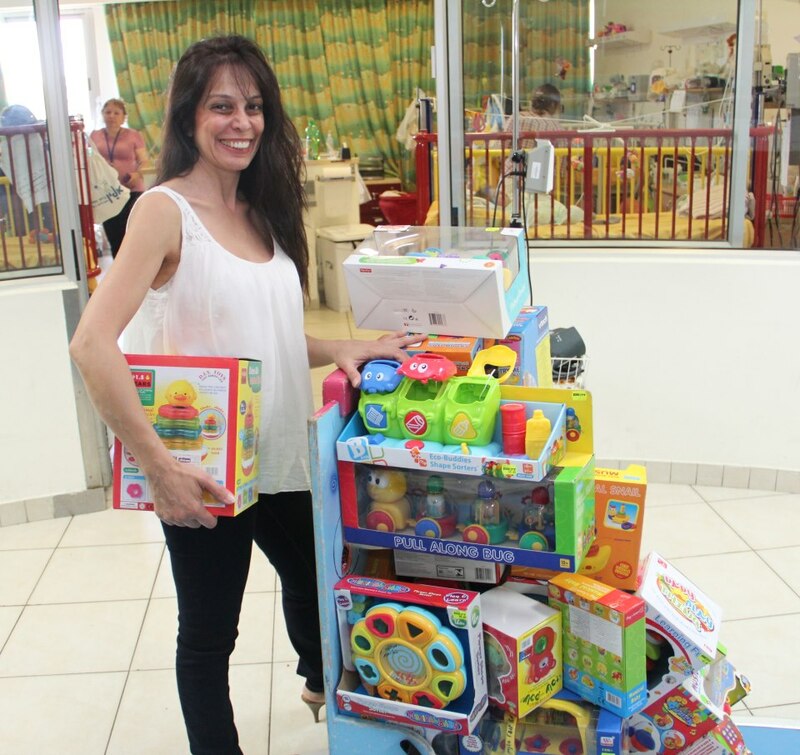 The toys will be used by children in the Respiratory Rehabilitation Department in the play area, during group therapy. These sessions are unique and important for developing social skills. Please give a big LIKE to "Gan Rakefet" . The children learned through one amazing project about agriculture, community, helping others and sustainability. Special thanks to Ayelet for her initiative.